ATHENS, Greece An admission from the International Monetary Fund this week that it mishandled the early stages of Greece's massive bailout will not lead to any easing up of austerity measures, the crisis-hit country's opposition leader said in an interview late Friday. Alexis Tsipras, leader of the left-wing Syriza party, told The Associated Press that bailout lenders and Greece's conservative government would not end the country's "ongoing drama. Tsprias made the remarks ahead of an inspection next week of progress in implementing the 240 billion euro ($318 billion) rescue deal from the IMF, European Union and European central Bank, collectively known as the Troika. "We don't expect a real [change]. The Troika admits making a mistake, and at the same time advocates the implementation of that mistake,'' Tsipras said, speaking on the sidelines of a meeting of European anti-austerity groups in Athens. In a report this week, the IMF admitted mishandling the start of the bailout program in 2010, saying it had failed to tackle private debt restructuring early enough and overestimated the capacity of governments in Greece to swiftly push through public-sector and market reforms neglected for decades. Touching off a public spat with Brussels, the report also blamed the EU for the "notable mistakes." Greece's conservative Prime Minister Antonis Samaras, on a two-day visit to Finland, insisted that Greece remained committed to meeting its ambitious deficit reduction targets and argued that past errors in the bailout program had been corrected. "This admission by the IMF ... provides a very significant reason for the Greek government to stop the program immediately," Tsipras countered Friday. Cost-cutting reforms have battered Greece's economy, pushing up poverty to levels not seen in decades and unemployment to around 27 percent. Speaking later at the Athens meeting, Tsipras argued that Greece had served as a model for European politicians determined to dismantle the welfare state. 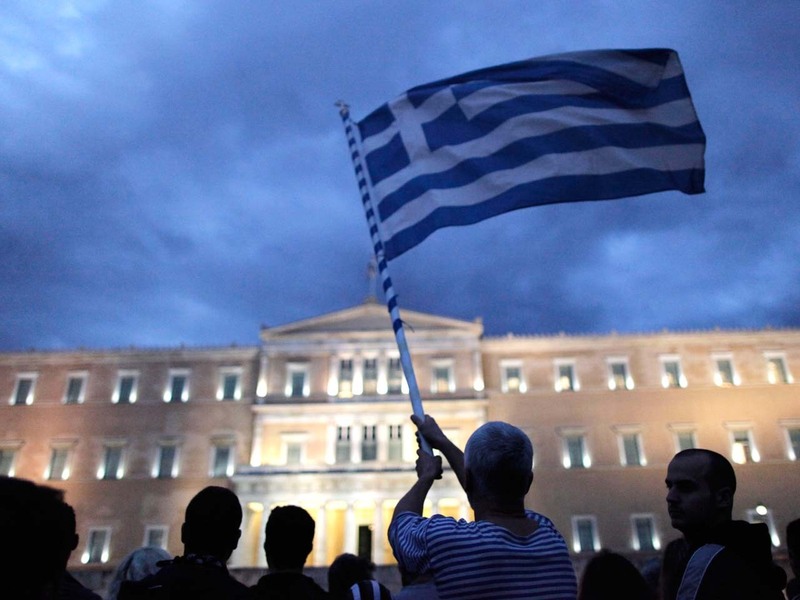 "Greece was the guinea pig for this historic change. And it was tried out with full force: canceling the social pact, destroying social welfare and selling off the country's entire productive capacity. Now that experiment is ready for export to the rest of Europe." Samaras' year-old conservative-led coalition has promised a return to growth and international bond markets next year, arguing that the harsh austerity measures agreed in exchange for the bailout loans are finally working. But official figures Friday showed that Greece's economy shrank by 5.6 percent in the first quarter of the year, slightly worse than an initially estimated last month. The Greek Statistical Authority reported the revised figure, following its May 15 estimate of a 5.3 percent contraction.